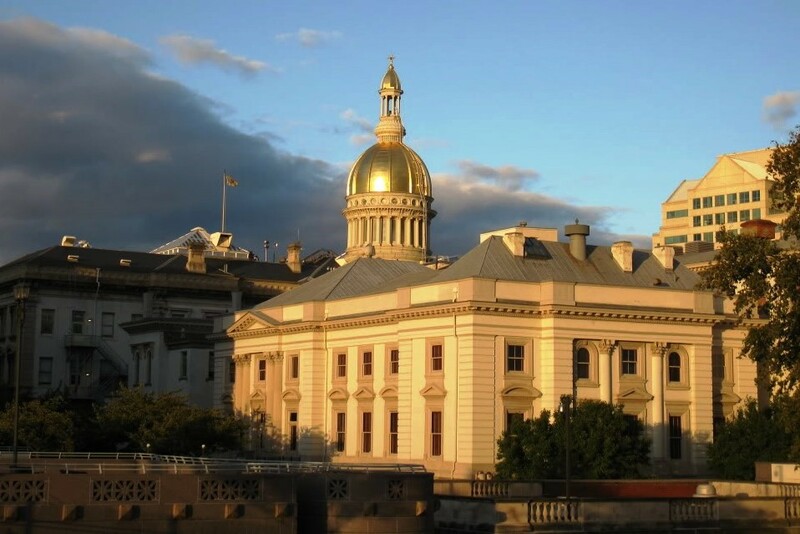 New Jersey became a state December 18, 1787, the 3rd state admitted to the Union. Trenton was settled in 1679 and became the capital in 1790. The famous portrait of George Washington crossing the Delaware River during the Revolutionary War represents what happened here on Christmas night, 1776, as the Continental Army began its march toward British-held Trenton. There is much Revolutionary War history in and around Trenton, and at the Old Barracks Museum. Trenton also has an Intermediate Space Transit planetarium and is close to Princeton University, where Albert Einstein spent his last years. The birds and the bees, state symbols of activity; the involvement of kids, adults, and everyone; the knee-deep history and battlegrounds and houses where things happened we still talk about today; the Princeton vibe, buildings of stone and Einstein’s brain. Mountains near: Kittatinny Mountains. High Point in the northwest part of the state is the highest point in New Jersey at 1,803 feet.